With three food processing kitchens and a professional team in operation, Thrupps can make catering easy, economical and efficient. Discover the taste of wholesome Thrupps cooking, the perfection of presentation and most importantly- the ease of it all! Thrupps & Co was built on its delivery service. With 125 years' experience in the industry, Thrupps & Co has developed a trustworthy service that will see our customers having their order delivered by one of our long servicing drivers right to their door. 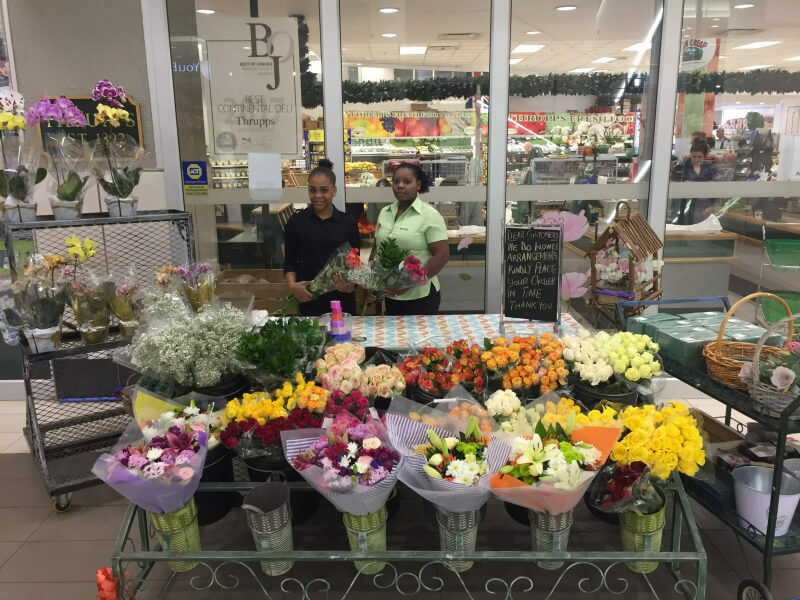 Thrupps will help you select a gift, hamper or flowers – appropriate for any occasion. We will ensure that your gift is appropriately wrapped or packaged together with a hand written card (with the wording you have chosen) before delivery or collection. This tried and tested service is well used and designed to accommodate your specific needs when you are unable to do it yourself. You can save time and effort with a mere instruction to us. We will also make up picnic baskets to suit your needs. Your Wedding list or Gift suggestions for any occasion can be co-coordinated by our Gift Shop. 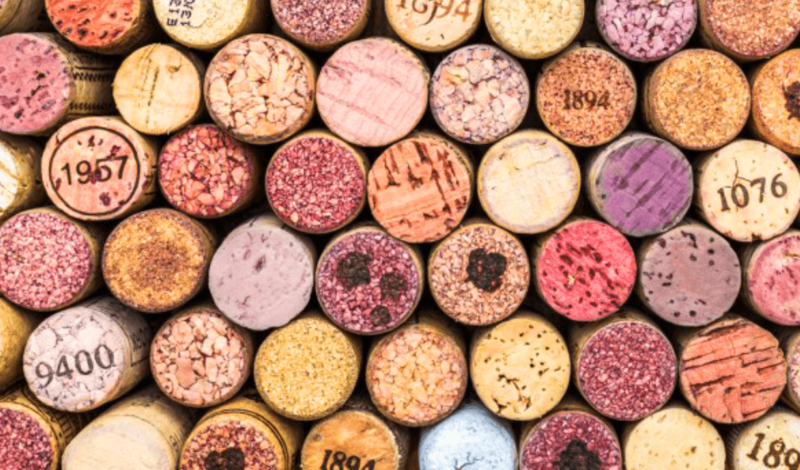 We have an exceptional selection of flavour intensity wines from across the world that can be added to your cellar or be paired with any food occasion you may be having. Simply ask Hamlet for the desired bottle of your choice and he will be happy to assist. If the occasion is a little larger, please enquire about our case-lot discount. 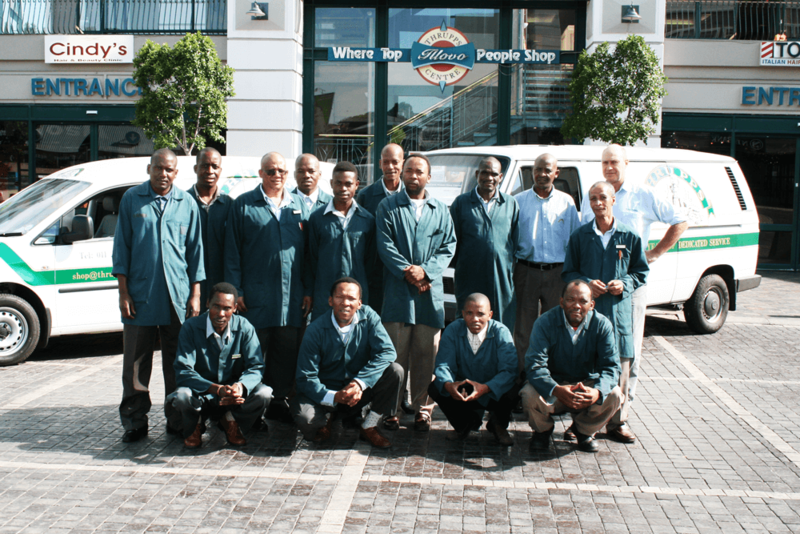 Thrupps & Co invites you to come and have a true personal experience at any of our three Fresh Meat counters. 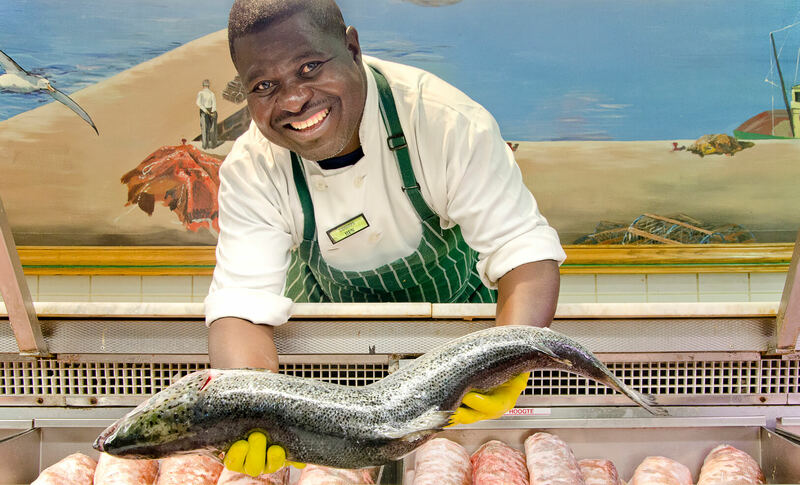 Whether you choosing your freshly cut-to-size rump steak by our master butcher Elias or chatting to our ever-friendly Ben, the fishmonger, while waiting for your delicate salmon to be prepared, you can be rest assured that quality is of the highest order. Here at Thrupps & Co we believe in knowing where our meat comes from. Thrupps takes pride in holding long standing relationships with our farmers to ensure this understanding. These relationships are testament to the trust we have in the farmers and that the products provided to our customers are free from routine antibiotics and hormones by raising the animals to free range standards. Please feel free to come in and enquire about any of our suppliers, just ask one of the managers. The poultry department is headed by the extremely skilful Beauty. She prides herself in offering the Thrupps famous “three in one” Turducken prepared on site. Thrupps offers Turkey for all the special occasions along with duck, pheasant and wild game birds in season. Feel free to contact Beauty on availability. If you are looking to impress for that special occasion then come and visit our award winning “Best of Joburg” Delicatessen. From local and imported cheeses to beautifully cured cold meats, build your meze platter that only kings can dream of. Ask for the manager, Brandon to assist with our large selection of products. 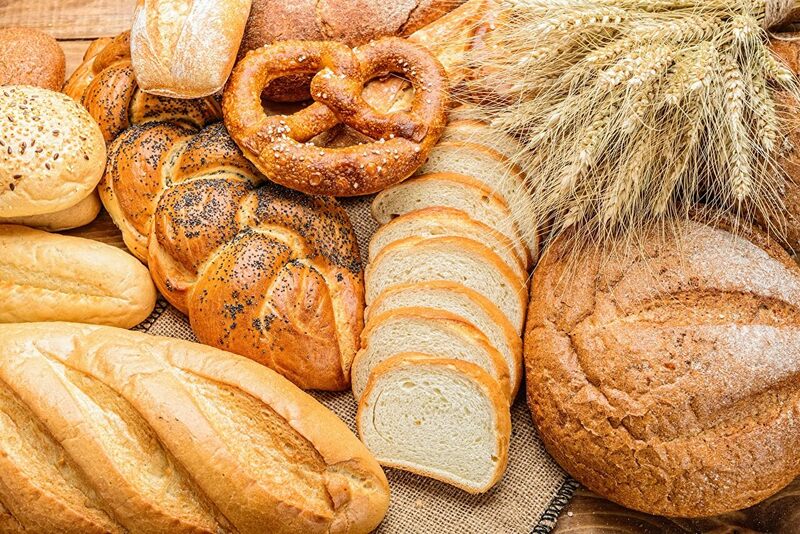 Our bakery makes use of only the finest ingredients to freshly bake rolls, breads daily. All our home baked products are preservative free and therefore we suggest they best eaten straight away. We also offer a selection of health breads and artisan ryes for the feel good options. The confectionary offers indulgent little treats and cakes all prepared on site. Please feel free to contact Happy in the bakery to place any of your orders. Thrupps also does personalised birthday cakes, made to order. 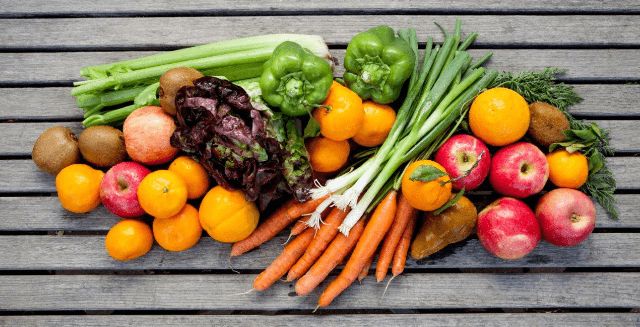 Variety is the spice of life with fruit and vegetables that add colour, flavour and texture to any dish that is nutritional in your diet. Thrupps supplies clean, farm fresh quality fruit and vegetables prepared and conveniently packed for quick and easy use. Come and see our wide range of "Organic" produce that is locally sourced from community projects in and around Johannesburg.